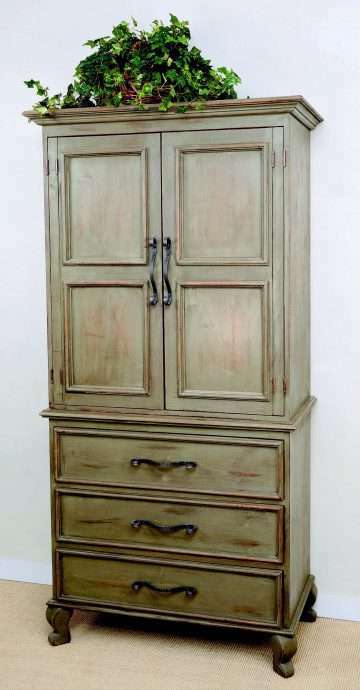 Comes standard with scroll handles on doors and drawers. 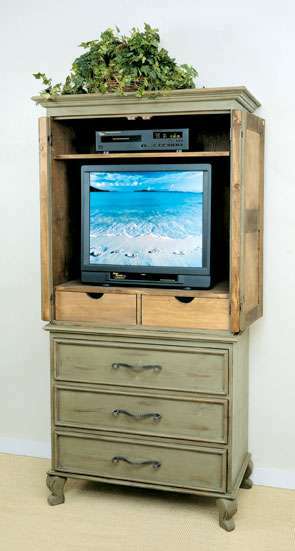 Intended for use an an entertainment center, this unit comes standard with wrap-around doors, 1 adjustable shelf, and the unit is drilled for TV/component wires. 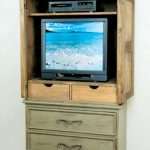 Interior drawers have wooden drawer glides; exterior drawers have metal/nylon drawer glides. Ships in 3 corrugated cartons: 1 top section (85 lbs), 1 base section (97 lbs), and 1 adjustable shelf (13 lbs), on 1 wooden pallet (50 lbs).